We covered how to work with spaces. However, there are “rooms” that are not considered in the architecture models. Like elevator and plumbing shaft, plenum (the area above the ceiling), void, and other areas that might not be considered in architecture models. Let’s review our model. Create a section like below. Use the red line as the reference. Open the section and review it. As you can see below, the spaces are adapted to the rooms. The room has a ceiling. A ceiling is also a room bounding element, so the space doesn’t go higher than the ceiling. We will add spaces to this area later. A floor is also a room bounding element. At the void, the space goes up until the limit offset value. In this tutorial, we have the limit value 3800. 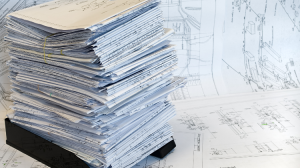 It is important to review each floor plans and review the building sections. There are some spaces that overlapped too. We will review and fix it. Press Esc until the Modify tool active. Select all elements in the model. Notice that not all spaces are created yet. We need to add a space near the escalator. Click Space tool on the Ribbon> Analyze tab> Spaces & Zones panel. Add the space and change the space name. Refer to the previous tutorial if you have problems. As we discussed earlier, the spaces are not created on the area above ceiling yet. This is because the ceiling is a room boundary. Now we need to add spaces to the plenum. To create spaces on the plenum, we need to add a level above the ceiling. In this project, the ceiling height is 2600, but the ceiling itself has 52mm thickness. So we need to create a level 2652mm above each floor. First, create the levels for the plenum. On the Ribbon> Architecture tab> Datum panel, click Level. On the Options bar, change the Offset value to 2652. Change the draw mode to Pick Lines. Slowly move your pointer above the existing floor level. Make sure you see the preview above the floor level, not below it. When you see the new level correctly, click your mouse. 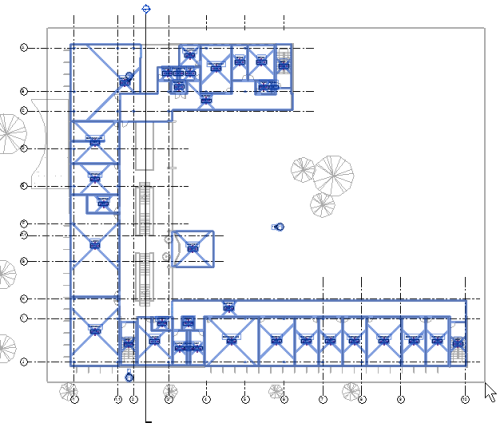 Create plenum level for 1st, 2nd, and 3rd floor. Rename the level if necessary. 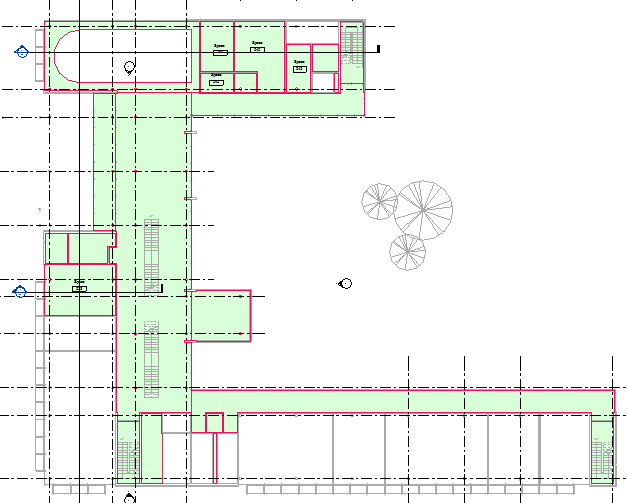 Open the 1st plenum floor plan. Make sure the View Template shows <None>. If it’s using Mechanical or other View Templates, change it to none. 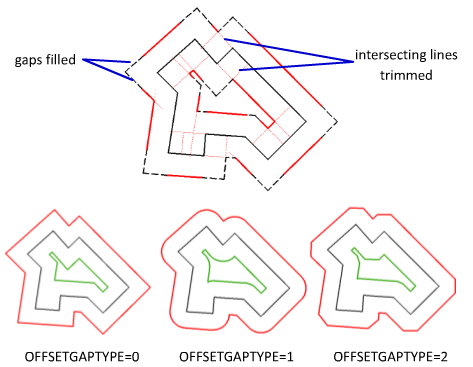 Change the Cut Plane Offset to 600. Make sure Color Fill and Interior are checked. After you changed the View properties, you can see the spaces on the ceiling like below. You need to complete the spaces. You can create the space easily like you did before. The only difference is you need to change input the Offset value to 1148. In this project 1148 is the distance from the ceiling to the floor level above it. Place the spaces to the model. When you are working with spaces, you might find that sometimes it can’t find the boundaries. 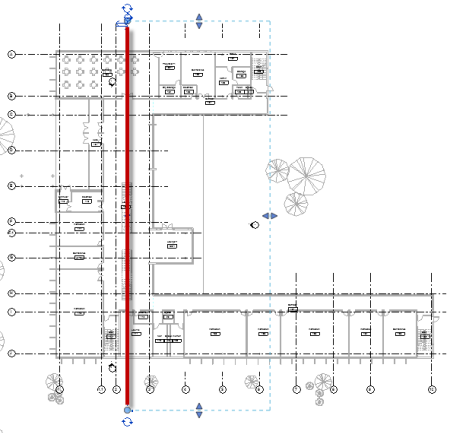 Revit can find boundaries automatically. 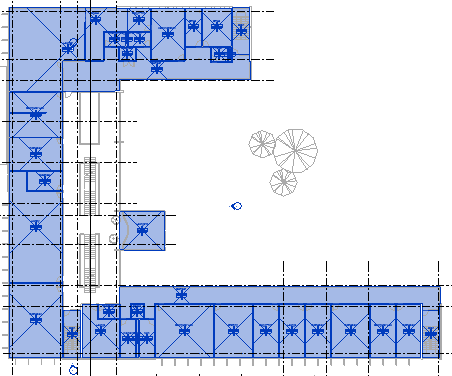 It can find walls, ceiling, floors, column, and other room bounding elements. However, sometimes you need to define the area manually. You can define the boundary using Space Separator. Create a closed boundary as the separator. Then try to place the space again. Complete all the spaces in the building. Check if there’s any area that doesn’t have spaces yet. Find the area that doesn’t have spaces yet. We will cover about zones in the next tutorial.